Fundraiser by Tim Krug : Repeal The New Jersey Shore Tax! Repeal The New Jersey Shore Tax! We are a group of concerned New Jersey Vacation Home Owners who have formed the "NJ Shore Rentals Coalition", a registered Non-profit corporation seeking to repeal the taxes on Shore Rentals. And we need your help. These increased rental costs will undoubtedly cut into every traveler's vacation budget. At best, vacationers will spend LESS money at the Jersey Shore. At worst, they may choose to vacation elsewhere and spend NO money at the Jersey Shore. This would be devastating to the local economy as vacationers stop spending money at local businesses that depend on seasonal income from visitors to the shore. Thankfully there is hope. Assembly Bill A-4520 and Senate Bill S-3133 have been introduced in the legislature. These bills call for a REAL “shore rental” exception to the current tax law. Both bills have been moved to committee, but it will take time and effort to keep them moving forward. While we are volunteering our time, we need financial assistance to pay for some professional services. We have retained the services of an Attorney and a Public Affairs counsel to help us navigate through the legislative process. So far they have been a tremendous asset in advancing our campaign and guiding us through each step along the way. In addition to retaining these professionals, we will incur other expenses that we need to be able to cover to keep this fight going.. Unfortunately, guiding legislation through the NJ Senate & Assembly is not a quick or easy process. We have launched this campaign to raise money to fund these efforts over the next several months. Even getting these bills on a "fast track" would at BEST get them on the Governor's desk at the end of December. As such, we need to make sure our campaign is funded through at least February so that we can keep constant attention on these bills until the day they are signed into law. We are confident that we can get this tax repealed before it does any harm to the Jersey Shore economy, but we need your help to make sure. We have been asking owners, renters and small businesses to call their representatives to support these bills, but now we need some financial support. We are asking everyone to contribute to this cause and to help save the NJ Shore so that we can all enjoy it for years to come. 2. On the line where it says "Thank you for including a tip of:" select "Other" from the dropdown menu. 3. Enter $0.00 in the tip box below and you won't be charged anything above the amount of your donation. In less than three months, our grass roots campaign has grown from a handful of concerned home owners to thousands of owners, renters and businesses across New Jersey. Together we have all picked up a single bill from the state assembly, added a matching Senate bill, and garnered TWENTY THREE* co-sponsors across both houses. That kind of legislative support is simply unheard of. These are things that NJ shore rental owners should all be proud of and we need to recognize that what we have all accomplished in such a short time is fantastic. This is a long, slow journey, but we are on the right course. Along the way, The Coalition has set lofty, nearly impossible goals for this legislation. Trying to move legislation as quickly as we are is like trying to push a freight train. We see the frustration when these bills don’t get put on the agenda, and perhaps we’ve set everyone’s expectations too high. As a group of shore rental owners we are literally shooting for the stars and thus should not be disappointed if we fall short. The Coalition will continue to push hard to get this legislation moving as quickly as possible. We just hope that everyone understands that when meeting dates come and go without our legislation being addressed, that hope isn’t lost and as concerned rental owners our efforts haven’t “failed”. We know that many of you want to see these bills put on the committee agendas and get voted on ASAP, and we do too. While it may seem like nothing is happening on the surface, all of the countless emails and phone calls have had an effect. We now have the attention of Speaker Coughlin who controls legislation in the Assembly. He has now stated publicly that they are “working on legislation” but that he has concerns with the “constitutionality” of the bills. Legislators do NOT like to pass laws that risk being challenged in court and they do not send bills to committee until they are comfortable that the language is finalized. As such, our state legislators and their staff are working on the wording of this bill so that they are comfortable that the legislation won’t face any legal challenges. The Coalition believes that the Speaker’s primary concern is that the tax be applied uniformly across New Jersey, which means crafting language that exempts ALL direct-by-owner rentals from the tax. We at NJSRC support legislation that goes further than what was originally proposed, and we imagine a broader exemption would have even more legislative and public support. As of right now, the legislation is being re-written so as to comply with constitutional law. In addition, other similar legislation that has been proposed, may be combined and the correction may become statewide. The Coalition hopes to participate in that process, helping to craft the bill that will continue to garner support and successfully continue through the process of committee hearings and full vote. From time to time we will call upon our fellow shore rental owners to reach out to the elected officials as the bills are reintroduced. The NJSRC is committed to success and pledge to keep you informed every step of the way. * Our sponsor count keeps climbing! 23 total Sponsors and Co-sponsors between the bills. Our Assembly bill now has 17 Co-sponsors, and our Senate bill has 4 Co-sponsors! We are making progress but we still need help. 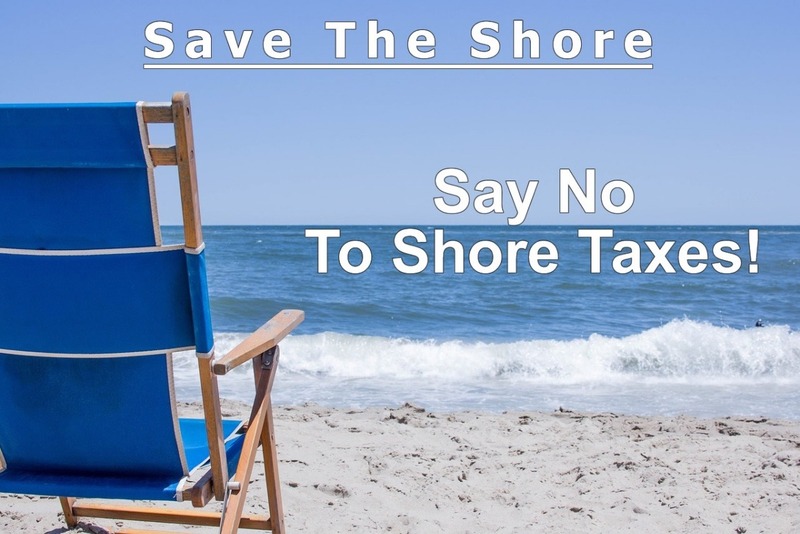 Visit our website at www.NJShoreTax.com for more info. Thank you again to all of our donors. If you haven't donated yet, please consider doing so now. If you know other owners or renters at the Jersey Shore please share this campaign with them. We are urgently in need of additional funds to finance this campaign to correct the Short Term Rental Tax law. If we do not raise additional funds quickly we will no longer be able to continue our lobbying efforts in Trenton. Don't leave this legislation to chance! We are now up to 3 Primary sponsors and 13 co-sponsors on bill A-4520! We have just posted an updated "call to action" on our website. The next step is getting A-4520 onto the committee agenda on Jan 17th. That requires the Speaker and the Majority Leader to move it forward. Our focus right now is showing them that this bill has widespread support through emails to select legislators by residents of their districts. Over the last week three more legislators co-sponsored A-4520, bringing the total to 13 bi-partisan co-sponsors. It’s worth noting that two key legislators representing Cape May County, Assemblymen Andrzejczak and Land are co-sponsors. Land is co-chair of the Arts, Tourism and Gaming Committee where the bill has been assigned. On the Senate side, S-3133 also gained Bi-partisan support with James Holzapfel signing on as a co-sponsor. These are all very positive developments. There is no Senate Community and Urban Affairs Committee meeting scheduled for next week and A-4520 was not added to the ATG committee agenda, but we look forward to having these bills considered over the next couple of months and will keep you posted as developments occur. Thank you again to those who have contributed to this cause.